Writer/director Jim Jarmusch made an impact with his unique storytelling in ONLY LOVERS LEFT ALIVE, and is now preparing to tackle the apocalyptic world of zombies in his upcoming Horror/comedy film THE DEAD DON'T DIE. The movie has a star studded cast and the official trailer can be viewed down below. 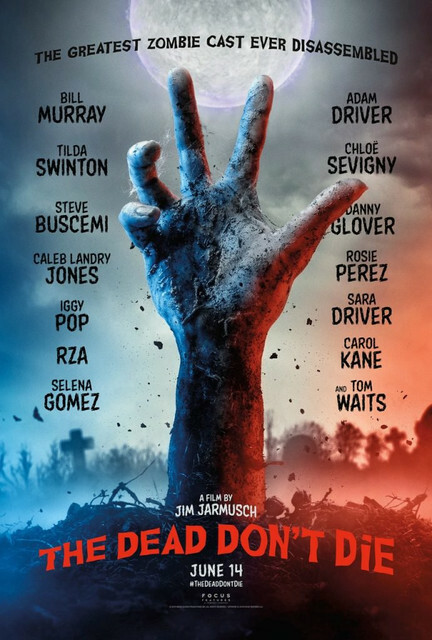 THE DEAD DON'T DIE stars Bill Murray, Adam Driver, Tilda Swinton, Chloë Sevigny, Steve Buscemi, Danny Glover, Caleb Landry Jones, Rosie Perez, Iggy Pop, Sara Driver, RZA, Selena Gomez, Carol Kane, and Tom Waits. Focus Features will release THE DEAD DON'T DIE in theaters June 14th.